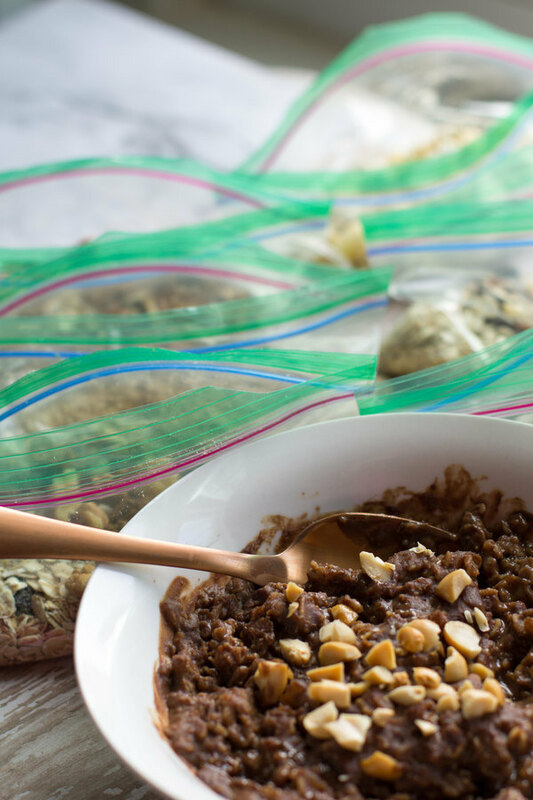 You will save calories, sugar and time with these Healthy Homemade Oatmeal Packets. 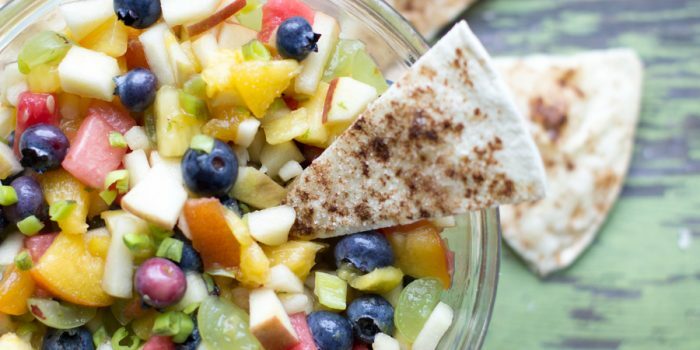 You can make a variety of different flavors for a quick, nutritious on the go breakfast. Did you know a packet of store bought instant oatmeal can has a much as 3 teaspoons of sugar in it?! That’s more than 1/3 of your days suggested amount of sugar! 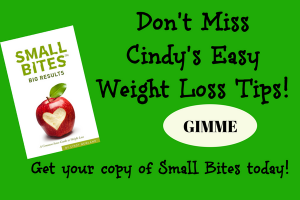 If weight loss is your goal then you definitely want to watch your sugar intake. 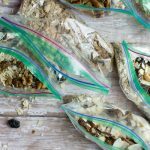 It’s easy for the sugar grams to add up when you are eating prepackaged foods, so why not make your own Healthy Homemade Oatmeal Packets and take control of the amount of sugar you use?! 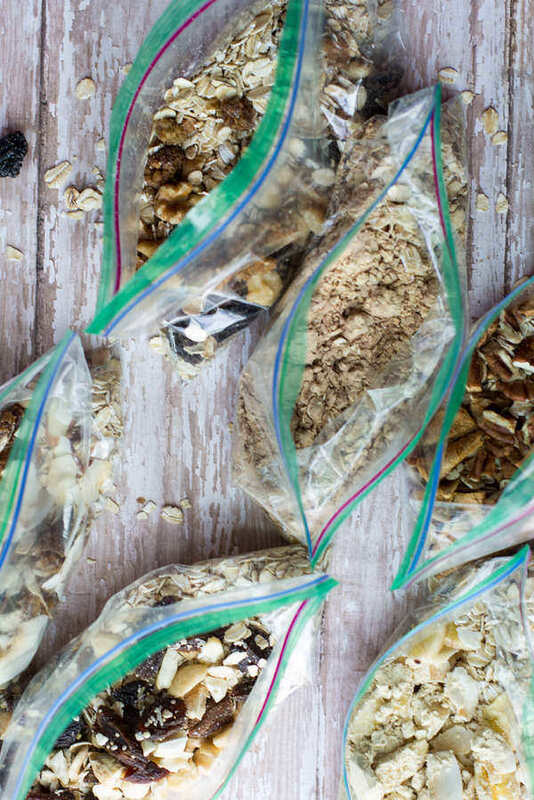 There are SO many different flavor combos you can make into Healthy Homemade Oatmeal Packets! The other add ins could be chia seeds, hemp seeds, flax seeds, toasted coconut, etc. 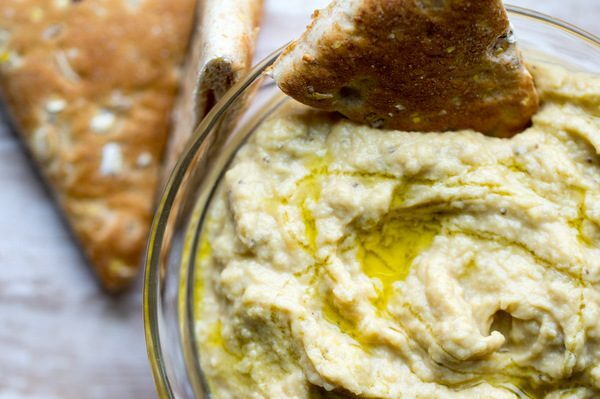 These add great nutrition and texture. 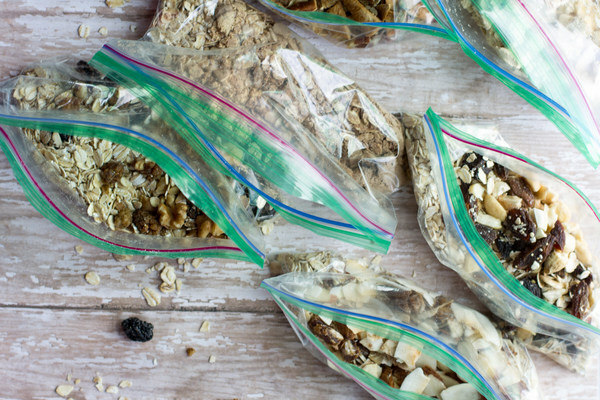 Make healthy homemade oatmeal packets. Place packet contents in a microwave safe bowl and add 3/4 - 1 cup water, depending on whether you like thick or thin oatmeal. Microwave for 1:30 -2 minutes, or until oatmeal is tender. Enjoy! Nutrition facts based on dried fruit, nuts and oats only. As you can see, this oatmeal combo only has 2 grams of sugar or a 1/2 teaspoon compared to the 12 grams or 3 teaspoons from the store bought. 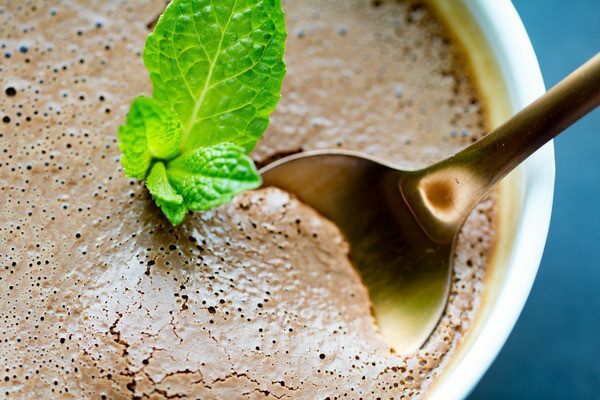 I like adding protein powder to boost the protein, add to the creaminess and add to the sweetness. I never add sweetener when I use protein powder because the brand I use already has stevia. 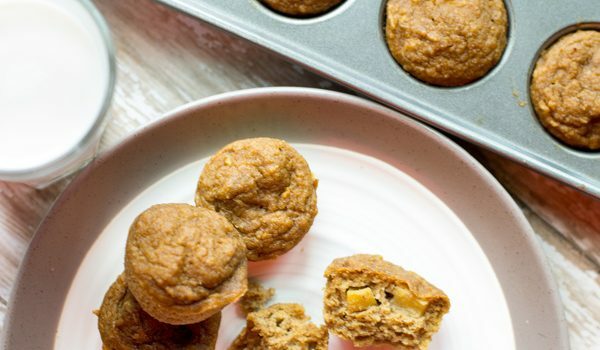 You could always add some stevia, maple syrup or agave if you don’t use sweetened protein powder. Find the combo and sweetness you like and enjoy! Did you know Ziploc bags are recyclable?!!! I’m so excited about it! Just take your clean and dry plastic bags to any store that offers a plastic bag recycling program. You can place them in the same bin as the grocery shopping bags and feel good about recycling! Yippee! If you like oats for breakfast, try this Creamy Carrot Cake Oatmeal. It’s SO GOOD! You’ll love these Simple Overnight Oats, too! 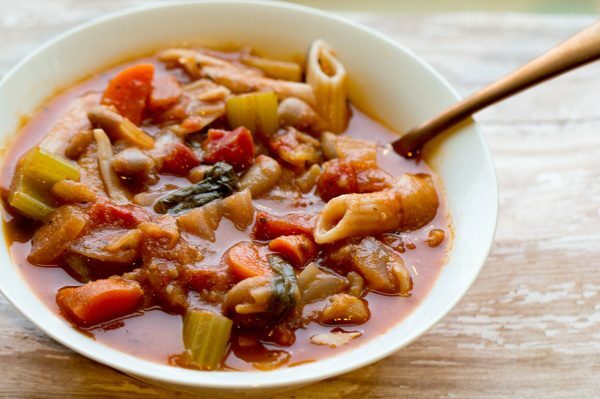 I’m just beginning to move around more comfortably in the kitchen, and I want to focus on eating healthy food. This outmeal sounds like the perfect meal to start the day with! 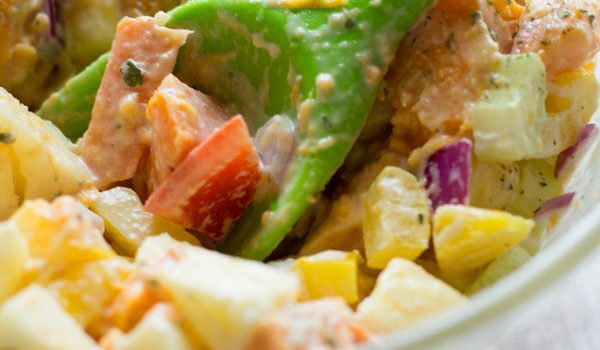 Tasty and much healthier than the premade things they try to sell to you in the grocery stores. These look really yummy and nutritious. 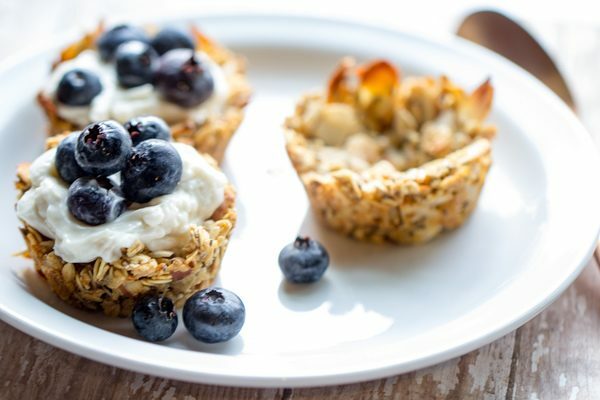 Such a great idea to make a batch of these for snacks. I like that you portion them off. That’s smart eating. Great idea! This is such a great idea!! My kiddos just started back to school and this would be a perfect healthy start to their day. 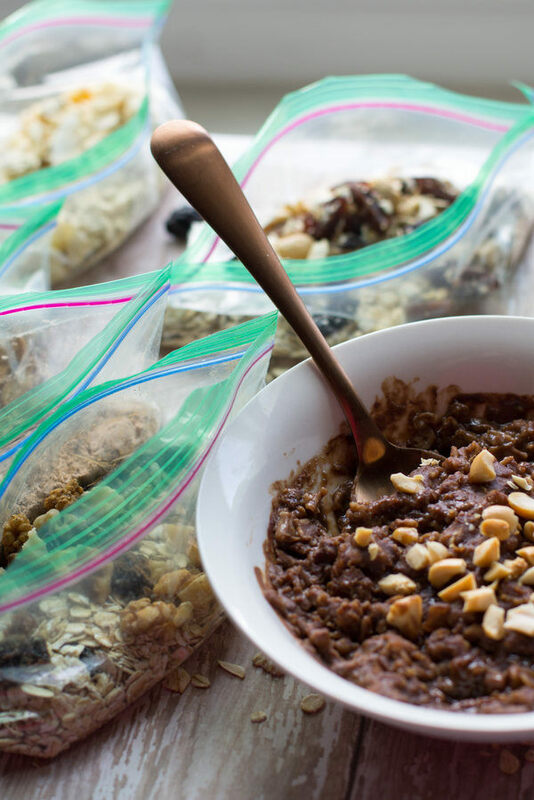 We eat alot of oatmeal but having it prepped and with deliciousness would be a bonus. Thanks for the idea. Wow!!! This is such a fabulous idea!!! This will definitely make mornings run a little easier around here! I’m pinning this to save!! This is such a good idea. So handy for on-the-go people too. I will be saving this recipe for sure. This is sounds like a my kind of recipe. Heathy and homemade what else you want. Thanks for sharing. I eat oatmeal and love these flavor combinations!